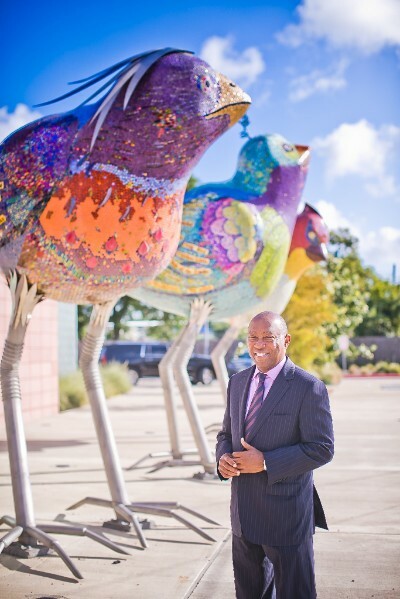 June 15, 2018 -- Mayor Sylvester Turner congratulates and celebrates the honor given to public art project Books of a Feather by Dixie Friend Gay (above) by the Americans for the Arts through the Public Art Network Year in Review program, the only national program that specifically recognizes the most compelling public art. Chosen by public art experts, the roster of selected projects was unveiled this morning at Americans for the Arts’ Annual Convention in Denver. This is the 17th year that Americans for the Arts, the leading nonprofit organization for advancing the arts and arts education in America, has recognized public art works. Commissioned by the City of Houston for the Alice McKean Young Neighborhood Library (5260 Griggs Road, Houston, TX 77021), Books of a Feather consists of three large scale birds made of steel and concrete ranging in size from 12 to 15 feet, each covered with hand-placed, multi-colored glass and ceramic mosaic tiles that shimmer and sparkle when caught by the light, as well as hand-made tiles stamped with book titles that include words associated with birds and flight. The artwork is the result of 18 months of collaboration with a variety of partners including Houston Arts Alliance, which is under contract to manage Civic Art projects for the city. 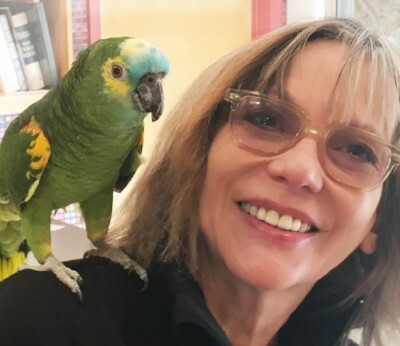 Dixie Friend Gay is a nationally acclaimed Houston-based artist whose career spans three decades and encompasses public art, sculpture, painting and drawing. Her work is fueled by an awareness of the natural world and its ability to produce new states of awareness and connection. In 2003, the Texas Commission for the Arts recognized Friend Gay as Texas Artist of the Year.